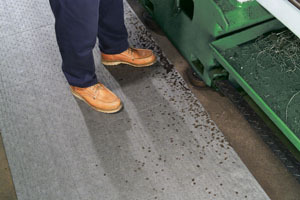 SpillTech FineFiber Mat : ARK Petroleum Equipment, Inc.
Top and bottom layers of FineFiber are built of denselywoven, small-diameter strands of fiber to increase surface area enabling the Mat to grip the floor and secure it for safer walking. 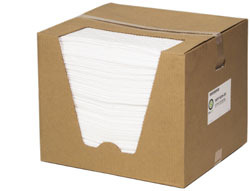 Universal application for oil, coolants, solvents or water. 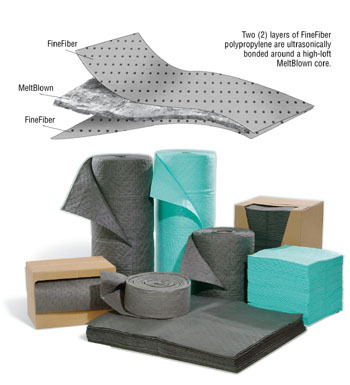 FineFiber Mat has a layer of MeltBlown polypropylene ultrasonically sandwiched between two FineFiber layers. 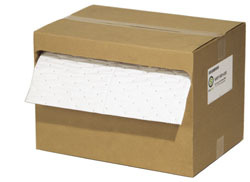 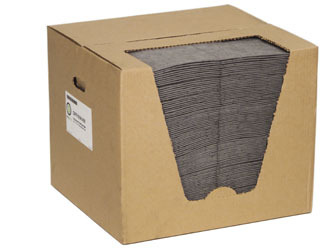 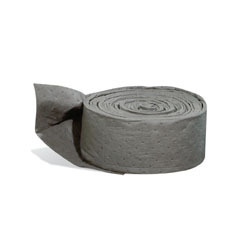 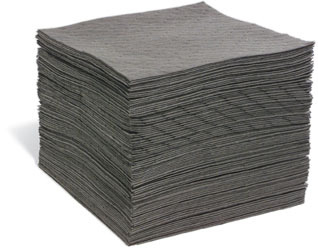 This 3-ply construction makes the mat virtually indestructible to foot traffic. 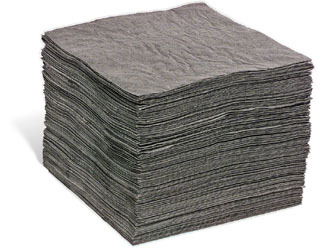 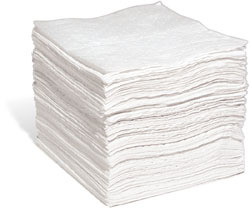 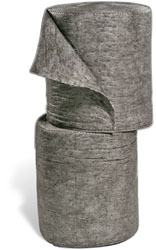 Large-diameter MeltBlown polypropylene fibers create a high-loft inner layer that absorbs up to 33.7 ounces per 15" x 19" pad and 49.8 gallons per 150' roll. 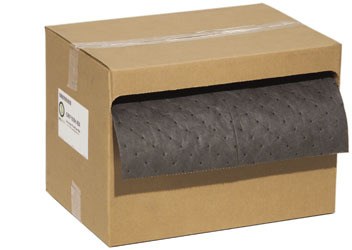 Rolls are perfed every 7.5" vertically and every 17" horizontally. 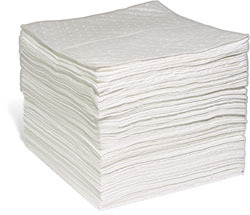 Pads are perfed vertically at 7.5". 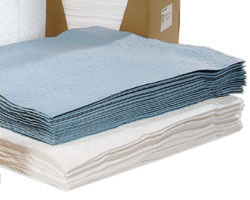 Tear off only what you need, save money! 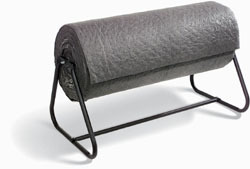 Free Standing Roll Rack, hold rolls upto 40" wide.